Kia Motors UK is a fast growing and dynamic company, however with rapid growth often comes increased pace and pressure on staff. The objective for bringing Beyond the Barriers services to the organisation was to assist in improving staff health and well-being with a particular focus on energy management. We agreed a programme of events that would raise awareness, improve education and knowledge and be practical and inspiring. 1. A programme launch for all employees to raise awareness and underline Kia’s commitment to support health and wellbeing. 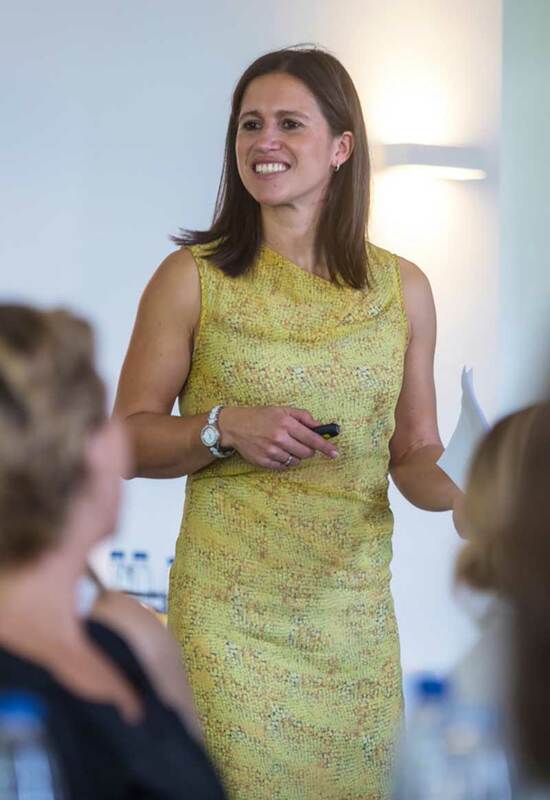 The inspirational and highly engaging launch event was delivered by Anna Hemmings. 3. 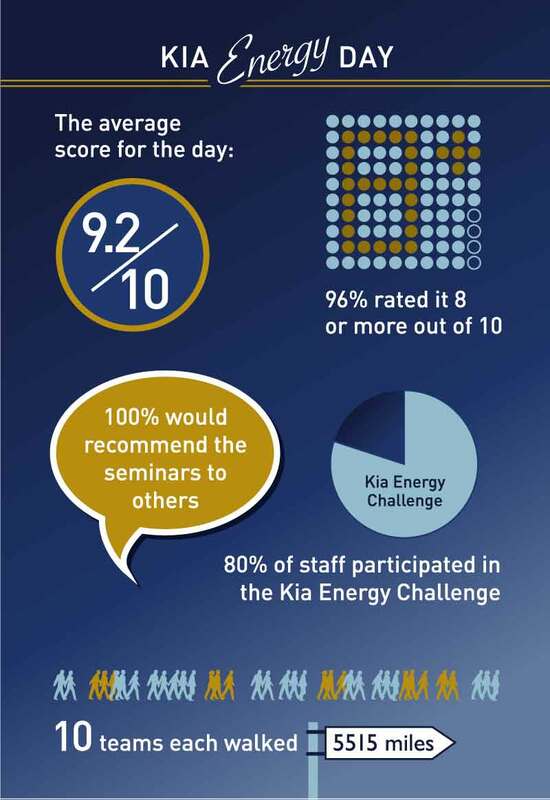 2 x Kia Energy Days – A series of 60 minute inspirational and practical seminars on energy management. Employees also had the opportunity for drop-in sessions with the specialists including: fitness expert, nutritionist and a masseur. 4. Kia Energy Challenge – to inspire staff to be more physically active we agreed a pedometer challenge named The Road to Seoul (Seoul is Kia Motors global HQ). Teams would collectively walk 5515 miles, (Surrey to Seoul). It was a fun and competitive way to increase physical activity, fitness and energy levels and was overwhelmingly popular.